In order to prevent the piling up of cheque bounce cases, the government is mulling to promulgate an ordinance to make amendment in the governing act of the Negotiable Instruments Act, 1881. 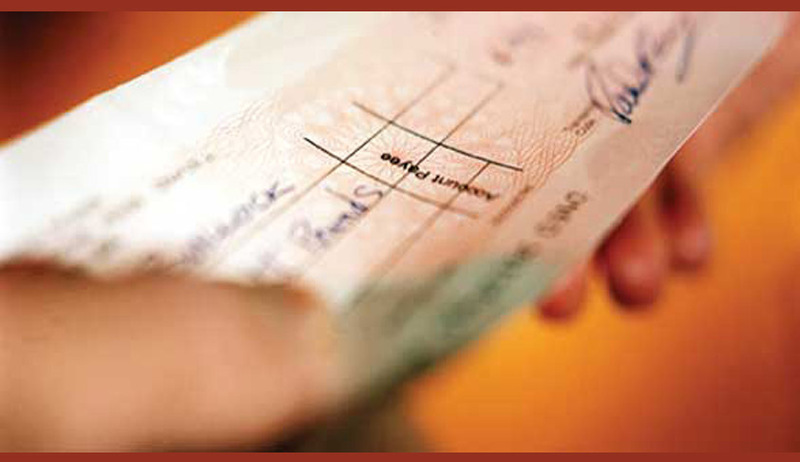 The proposed amendment will provide for filing of such cases in place where the cheque is presented. An amendment bill, already passed in the Loksabha, seeks to overturn a 2014 Supreme Court ruling, which said that the case has to be initiated where the cheque-issuing branch was located. Sources in the government said if the ordinance is issued, it may carry certain suggestions made by the Reserve Bank of India which will be different from the bill now pending in the upper house, Rajya Sabha. "To address the difficulties faced by the payee or the lender of the money in filing the case under Section 138 (of the Act), because of which large number of cases are stuck, the jurisdiction for offence has been clearly defined keeping in view the interest of complainants," to quote Finance Minister Arun Jaitley while introducing the bill. The Statement of Objects of the bill states that following the apex court ruling, representations have been made to the government by various stakeholders, including industry associations and financial institutions, expressing concerns about the wide impact the judgment would have on the business interests as it will offer undue protection to defaulters at the expense of the aggrieved complainant. Minister of State for Finance Jayant Sinha had told the Lok Sabha during the passage of the bill that the courts were currently dealing with 21 lakh cheque-bounce cases with 259 courts hearing them exclusively and the new law would help consolidate the cases and aid the judicial system.